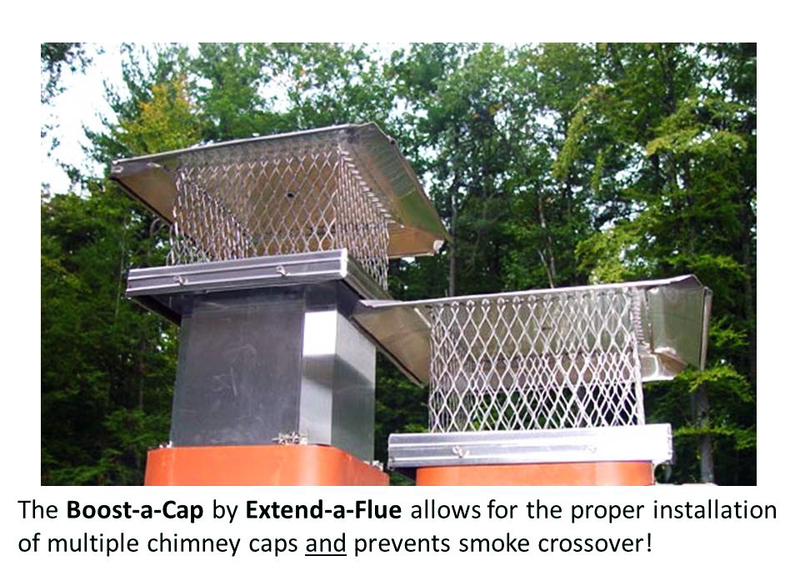 Our patented stainless steel Boost-A-Cap chimney flue extension is a cost effective way to bring your chimney up to spec and prevent down-drafting and smoke crossover problems. It also allows for the proper installation of two standard caps next to each other. 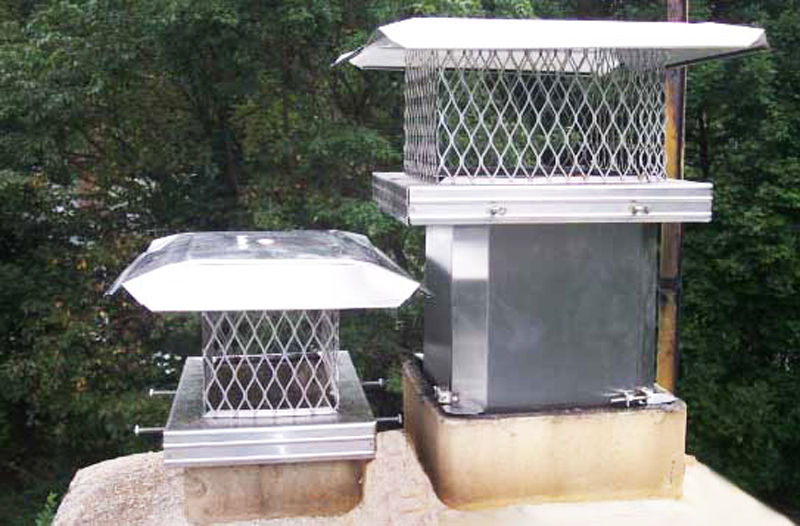 It uses our unique, adjustable expansion system to tightly fit inside your flue and increases the overall height by 12 inches. 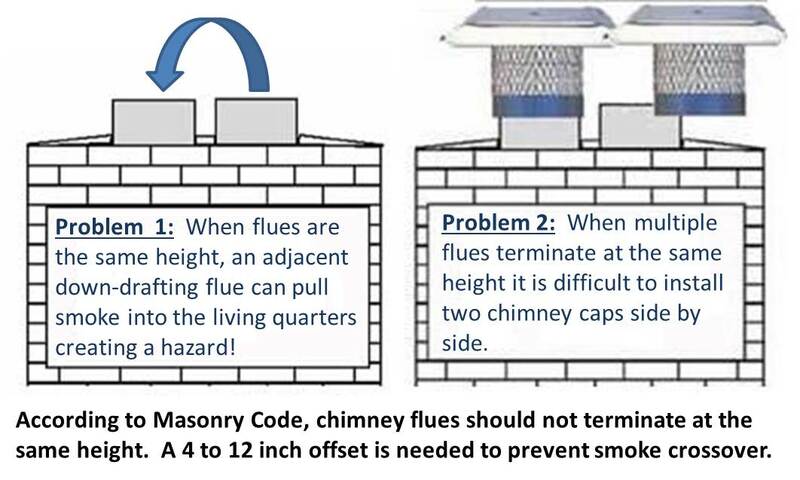 Usage: Chimney flue extension – Used to extend the height of a standard chimney cap. 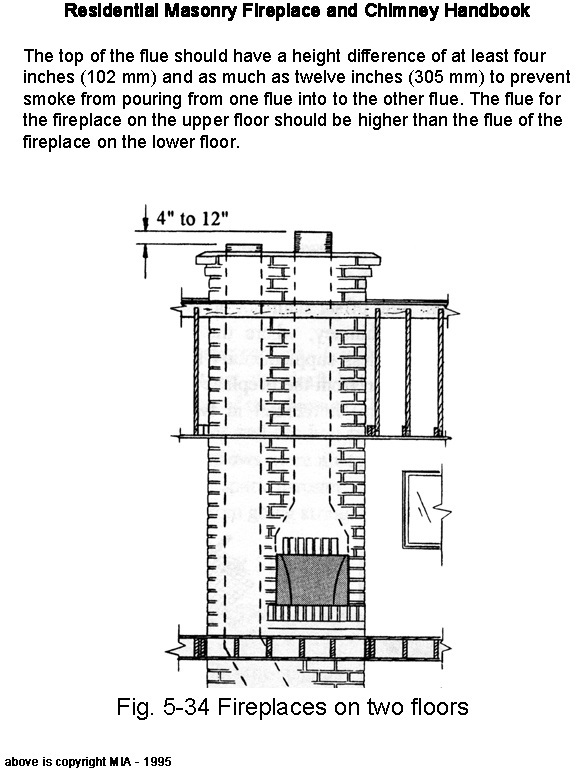 Used on 12×12 / 13×13 inch O.D. 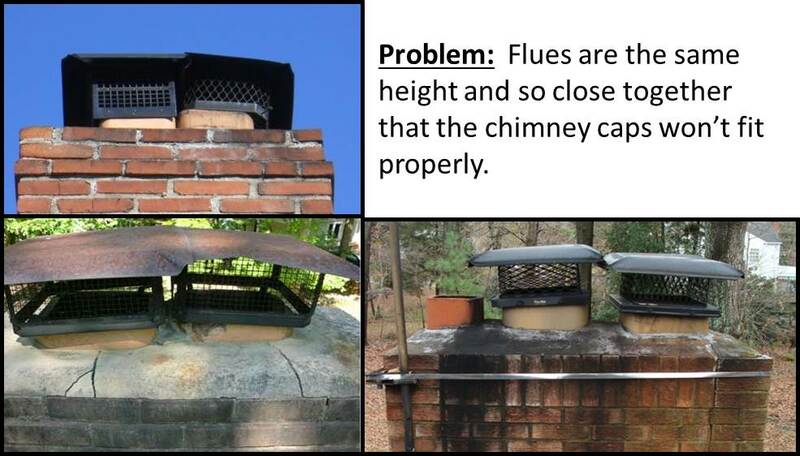 flues. 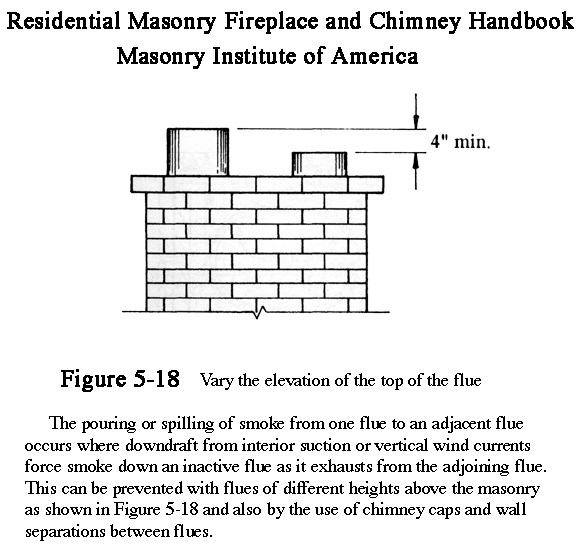 Dimensions: For use on 10.4″ to 11.7″ ID. 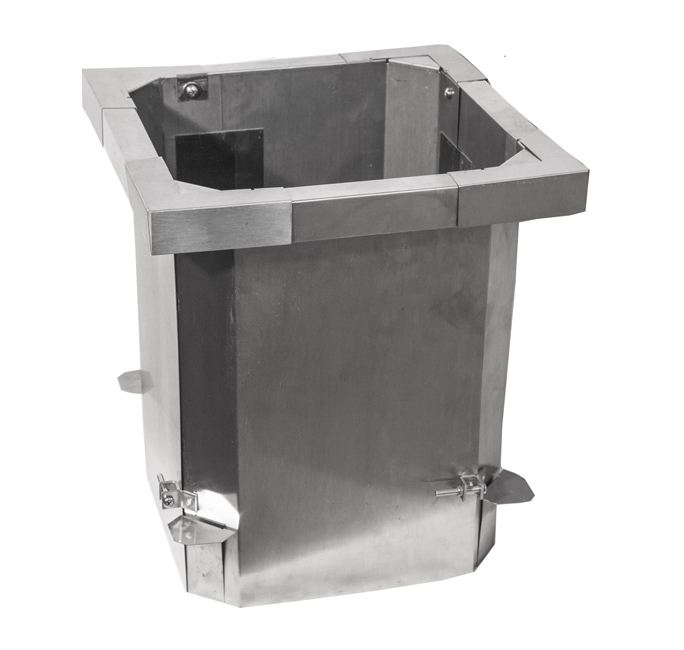 Notes: Stainless Steel Boost-a-Cap kit includes all mounting hardware and instructions. Caps not included.